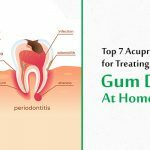 Toothache is an extremely common health issue that is occurs in young and old alike and all of us have faced this painful problem at some point in our lives. 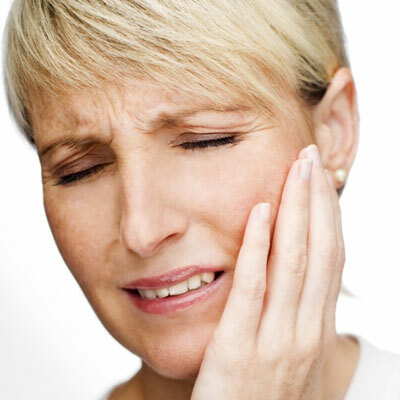 In most cases, a toothache is caused when the nerve to a tooth becomes irritated. There are several other causes of tooth pain, but all these can be prevented with proper dental care and oral hygiene that should include brushing, flossing and rinsing the mouth with mouthwash. A toothache may be sharp, constant or throbbing, and it may be accompanied by swelling, headache, fever and foul-tasting drainage from the infected tooth. 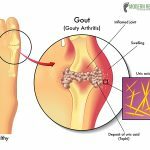 In most cases, people tend to address the problem of toothache with antibiotics and pain killer medications, but it is best to rely on natural healing methods like Acupressure and Reflexology, that have no harmful side-effects in the long run. There are several causes of toothache; here we have listed some of the most common ones. Working on a few of these points at a time can help your get relief from toothache quicker. You don’t have to stimulate all of these points, just try them once and see which ones work best for you. 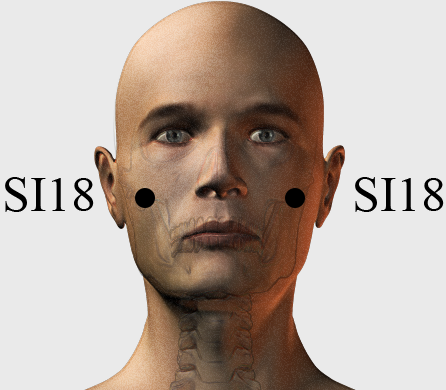 SI 18 or Small Intestine 18 is one of the most important acupressure and acupuncture points for relieving toothache that is frequently used as a first aid recovery point. This point is termed the Cheek Bone Hole, and it is located at the lower edge of the cheekbone, straight down from the outer corner of the eye, across from the lower edge of the nose. This point can be activated by applying steady and firm pressure on the points present on both sides of the face using the index finger and middle finger for 1 minute while breathing deeply. 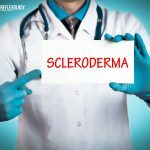 It is extremely beneficial for the treatment of toothaches, jaw swelling, TMJ problems, Bell’s palsy and facial paralysis. It is also used to treat twitching of eyelids and facial muscle spasms. 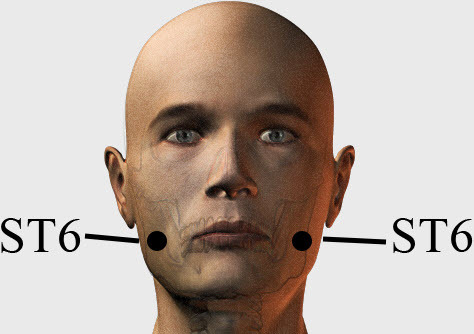 ST 6 or Stomach 6 is another significant acupressure point for teeth pain relief that works as effectively as formal medicine for tooth pain. 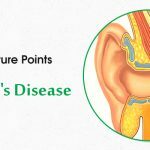 This point is called the Jaw Chariot, and it is found right in the middle of the upper and lower jaws, on the muscle in front of the earlobe that protrudes out when the back teeth are clenched. This point on both sides of the face can be activated by applying firm and steady pressure on the points using the thumbs for 1 minute. 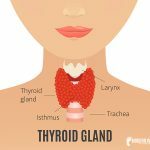 This point is especially useful for relieving jaw pain, spasms, TMJ problems, lockjaw, sore throat, and dental neuralgia, toothaches in the lower jaw, swelling of the cheek, crooked mouth, and acute trismus. ST 36 or Stomach 36 is a functional point of acupressure for tooth pain that provides prompt results. This point is also called the Facial Beauty, and it is situated at the bottom of the cheekbone, directly below the pupil. This point can be activated on both sides of the face by applying firm pressure to the points using the middle finger and index finger for 1 minute while breathing deeply. This point is useful for relieving toothaches, sinus pain and congestion and headache. 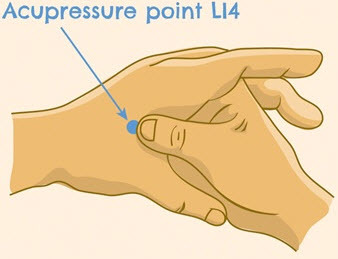 LI 4 or Large Intestine 4 is an extremely popular acupressure point for curing all types of chronic pain, and it is the ultimate solution to the question of how to relieve tooth pain quickly. This is a multipurpose decongestant and anti-inflammatory point that is used to treat toothaches, headaches, rhinitis, TMJ problems, fever, skin diseases, and eye problems and boost the immune system. This point can also induce labor and therefore, pregnant women should refrain from stimulating this point unless they want to induce labor. It is called the Union Valley, and it is located on the highest point of the fleshy joining between the thumb and the index finger when they are brought together. Acupressure point TW 13 or Triple Warmer 13 is yet another vital pressure point that is an effective answer to the question of how to get rid of tooth pain naturally. 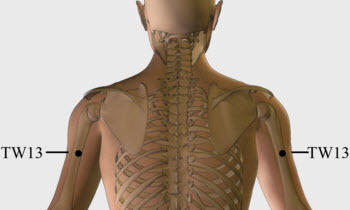 This point is also known as the Shoulder Meeting Point, and it is situated on the outer side of the upper arm, one thumb width in the back of the base of the upper arm, and two finger widths up towards the shoulder. This point can be stimulated on both the arms by applying steady pressure to the outside of the upper arm with the help of the fingers for 1 minute or until the pain and tenderness subside while breathing deeply. It helps to relieve toothache and spasms. It is also a useful pressure point to treat elbow pain and tennis elbow, shoulder pain and arm pain, thyroid problems, fever, eye problems, and epilepsy. Toothache is often caused due to excessive stomach fire or heat and ST 44 or Stomach 44 is a useful pressure point that helps to reduce stomach fire. This point is termed the Inner Court, and it is located on the top of the foot, in the web margin between the second and third toe. This point can be activated on both feet by applying firm and steady pressure on the points using the index fingers for 1 minute. It helps to relieve toothache in the upper jaw, facial pain, Bell’s palsy, stroke, sore throat, wry mouth and epistaxis. It also aids to treat gastric pain, digestive disorders, and eye problems. KD 3 or Kidney 3 is another effective acupressure point that works as one of the best remedies for tooth pain caused by Kidney Yin deficiency. This pressure point helps to nourish the Kidney Yin and relieve toothache and facial spasms. This point is termed the Great Ravine, and it can be found in the hollow between the tip of the medial malleolus and tendo calcaneus, right on the medial side of the foot. 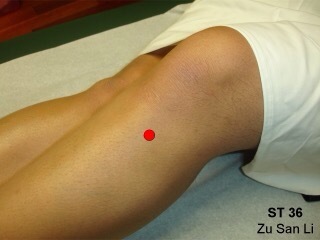 This point can be activated on both feet by applying strong and firm pressure using the thumbs for 1 minute. It helps to alleviate toothache, swelling of the pharynx, eye problems, headache, dizziness, insomnia, asthma, diabetes, cough, male impotence, irregular menstruation and lumbar pain. The SJ 2 or San Jiao 2 is a less known acupressure point, but it provides amazing results for toothache relief. This point is also known as the Fluid Gate, and it is placed on the dorsum of the hand, near the margin of the web between the 4th and 5th fingers. This point helps in relieving toothache by clearing the fire and dispelling the wind from the body. This point can be stimulated on both hands by applying strong pressure on the point using the fingers for 1 minute. It helps to relieve toothache, headache, eye problems, earache and deafness, sore throat and malaria. 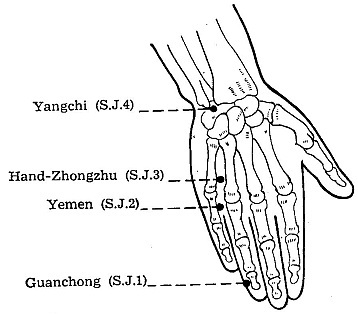 SJ 5 or San Jiao 5 is yet another acupressure point on the San Jiao channel that is used to treat toothache. It is the connecting point of the Yang Linking Vessel that helps to clear heat and activate the channel to alleviate pain. This point is located 2 cun proximal to the dorsal crease of the wrist, on the line joining SJ 4 and the tip of the olecranon, in between the radius and ulna. Activation of this point helps to relieve toothache, ear ache and tinnitus, headache, pain in the cheek, neck pain and strained neck, pain in fingers and trigger finger, arm and elbow pain and hand tremor. 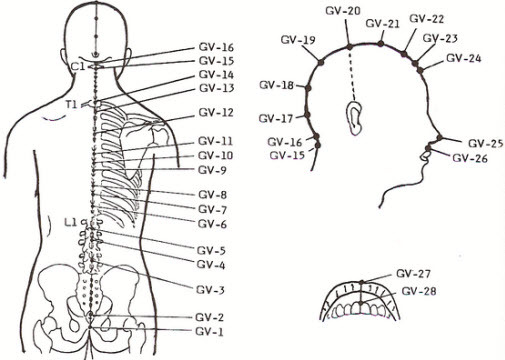 GV 14 or Governing Vessel 14 is the final acupressure point for toothache relief that shows fast results. This point is named the Great Hammer, and it is located approximately at the level of the shoulders, below the spinous process of the seventh cervical vertebrae. This point can be stimulated by lowering the head and applying firm and steady pressure on the point for 1 minute while breathing deeply. It helps to clear heat, expel the wind and regulate the nutritive and defensive Qi while tonifying the Yang at the same time. It is especially useful for treating toothache, neck pain and stiffness, malaria, breathing problems and asthma, cough, fever and common cold and febrile diseases. Now, say goodbye to painkiller medications and treat your menacing toothache, swelled gum and painful cheeks with the healing touch of acupressure therapy, which has absolutely no side-effects. points and techniques for managing the fluid pressures of the eyes? I did all but two of the exercises listed (I couldn’t do my back arm and behind the neck), but instant relief, and definitely got my sinuses flowing. Thank you! You have to be patient to reap its benefits. Very helpful it was… Thanks….